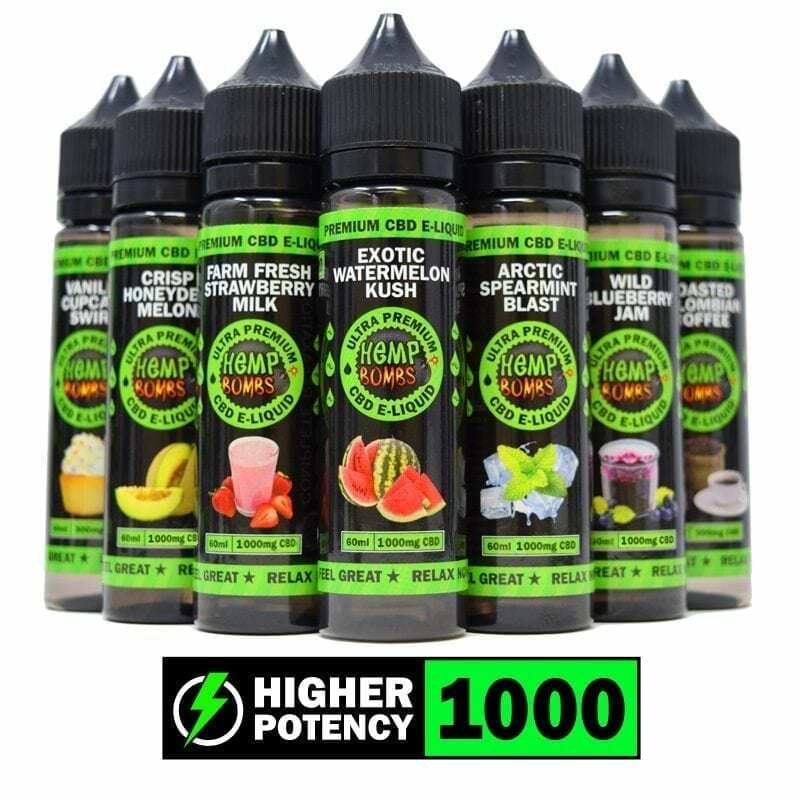 Hemp Bombs has opened its CBD Vape products to the entire vaping community. 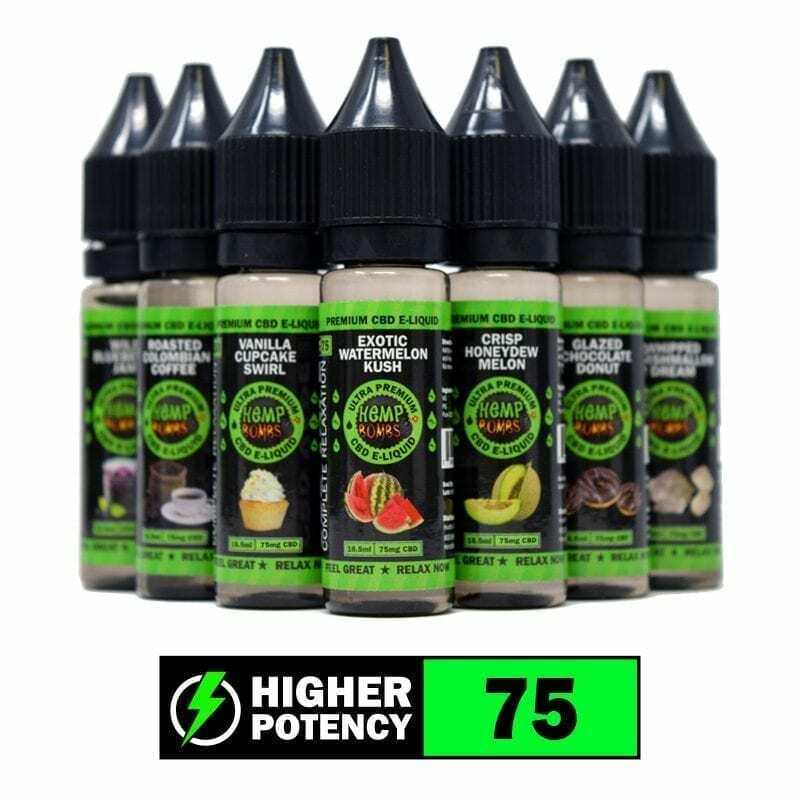 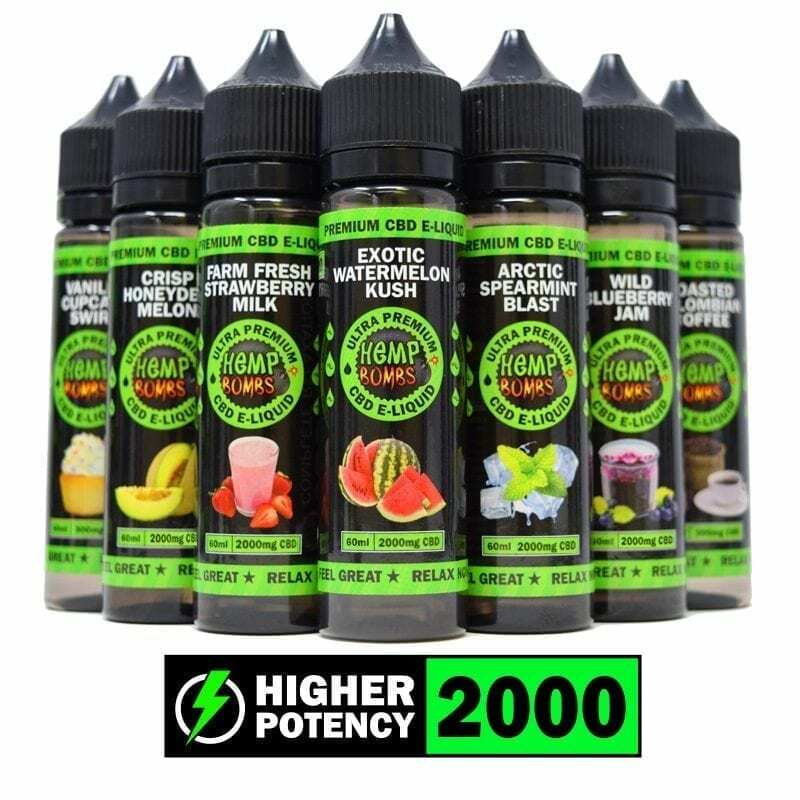 Our CBD E-Liquid flavors now include, Arctic Spearmint Blast, Crisp Honeydew Melon, Wild Blueberry Jam, Whipped Marshmallow Dream, Vanilla Cupcake Swirl, Roasted Colombian Coffee, Sugar Cookie Kryptonite, Watermelon Kush, Strawberry Milk and Glazed Chocolate Donut are made with a 70/30 VG/PG split for smooth and easy inhalation. The E-Liquids are presented in Chubby Gorilla containers for security and preservation. Receive the full sweep of CBD benefits while pulling from Hemp Bombs flavor-rich CBD E-Liquids.